Asset managers are divided: some say it may push investors into riskier asset classes in a bid to retain the same after-tax income levels while others say it's too early to alter your portfolio. The federal leadership crisis in August that culminated with Scott Morrison replacing Malcolm Turnbull as prime minister has shortened the odds of Labor gaining office next year. And that prospect has sparked concern among investors because of Labor's vow to axe cash refunds for excess franking credits. Opposition Treasury spokesman Chris Bowen has defended the policy, saying cash refunds for excess imputation credits are costing the budget $6 billion a year — money he says is better spent on services, schools, education and paying down debt. "Australia is the only country in the world with fully refundable imputation," Bowen says, adding that it will affect only 200,000 SMSFs. "Dividend imputation will remain, but cash payments will no longer be made to people who have managed to reduce their tax rate to zero or have paid no income tax. Double tax will continue to be avoided under Labor’s plans." Whether the proposal becomes law or not it has certainly had a polarising effect, which is likely to intensify in the countdown to the May 2019 federal election. For some, the dividend imputation system is a scheme that benefits wealthy baby boomers. For others, it avoids double taxation, and rewards shareholders who invest in companies, which in turn help generate jobs and boost prosperity. The implications of the policy vary. For SMSF holders with a balance of $200,000 to $1 million the policy could have a negative impact on income, and potentially alter the bias towards Australian shares in SMSFs, say wealth management and superannuation experts. While a recent Citigroup report suggests the plan will cut local investor demand for high dividend-paying companies and may lop 5 to 10 per cent off the share price of the major banks. "This is a real issue for retirees," says SMSF Association head of education and technical Peter Hogan. "It means that they’re going to have to start looking for alternative sources of income which will give them levels of income equivalent to the franked income that they've lost prior to any changes that might go through." According to calculations by the SMSF Association, Labor's proposal will cut about $5000 of income — or $90 a week — from the median SMSF in retirement phase earning about $50,000 a year in pension income, with a 40 per cent allocation to Australian shares. However, there are mixed views on what investors should do if the plan becomes law: some concede there will be a move towards other assets classes such as international equities, while others say it’s too early to start any wholesale reallocation. In this article, we'll look at how the change will affect different SMSF balances, what action — if any — investors should take, and whether companies will alter their behaviour. But first a word on the policy, and who it will affect. 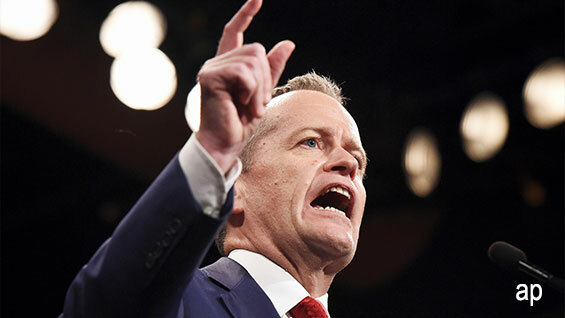 On 13 March this year, Opposition Leader Bill Shorten announced Labor's plan to axe cash refunds of excess franking credits. Franked dividends will continue to have a franking credit attached to them, but the refund provided by the Australian Taxation Office for any excess credits over tax payable will be scrapped. The policy caused an initial backlash, which forced Labor to exempt those on the Age Pension. Charities and not-for-profit institutions, such as universities, are also exempt. However, contrary to some initial perceptions, it is not the end of franking credits. Using franking credits to offset tax liabilities will still be allowed. Dividend imputation was introduced by Labor in 1987 to prevent double taxation – that is, the taxation of profits when earned by a company, and again when a shareholder receives a distribution. This coincided with the introduction of a 15 per cent tax on superannuation investment earnings. An imputation or "franking" credit is basically a note that comes with share dividends that says company tax has already been paid on the dividend, giving the shareholder a discount on their tax at tax time and thus avoiding double taxation. For those shareholders who don’t earn enough income to pay tax, there is nothing to offset the credit against, so these surplus credits are paid to them in cash. In this case, the company profit is not being taxed at all. The Howard government made excess franking credits refundable for dividends in 2000. Before this, surplus credits were not paid as cash. Let's say a company pays you a fully franked dividend of $700. Your dividend statement shows a franking credit of $300, which represents the tax the company has already paid. This means the dividend, before company tax was deducted, would have been $1000 ($700 + $300). At tax time, you must declare $1000 (the $700 dividend plus the $300 franking credit) in taxable income. If your marginal tax rate is 15 per cent, you would have paid $150 tax on the dividend. As the company has already paid $300 in tax, you receive a refund of the difference, which is $150. Those in a higher tax bracket may miss out on a refund and may have to pay extra tax. The refund applies when the total imputation credits on your franked dividends paid exceeds your basic income tax liability for the year. Self-managed super funds stand to bear most of the burden of this policy. Super fund earnings are currently exempt from tax if they are in the pension phase, assuming they have a member balance up to $1.6 million. These super funds currently benefit from franking credits in the form of a cash refund from the ATO when franking credits exceed tax obligations. The median franking credit rebate for SMSFs is $5100, according to the Alliance for a Fairer Retirement System, which is a coalition representing senior Australian shareholders and self-funded retirees, and whose members include the Australian Shareholders Association, the SMSF Association, the Australian Listed Investment Companies Association and National Seniors Australia among others. "Around 70 per cent of taxpayers over the age of 75 receive franking credits," the Alliance says, "with an average value of $6347. Many of these retirees would have a 30 per cent drop in dividend income under the ALP policy." Large retail and industry super funds. Super funds pay 15 per cent tax in "accumulation phase" (i.e. those saving for eventual retirement) or 0 per cent in pension phase. According to Labor, about 10 per cent of cash refunds were being claimed by APRA-regulated funds. These funds will continue to offset their tax liabilities with franking credits, so their returns are not expected to be affected. Individual Investors. According to the Australian Shareholders Association, retail investors comprise a large portion of the value of blue-chip companies offering fully franked dividends such as Telstra, AMP, IAG and the big four banks. Retail investors for instance own 53 per cent of Commonwealth Bank shares and 22 per cent of global mining giant BHP. Like SMSFs, individual investors who pay little or no income tax currently benefit from cash refunds for franking credits. Depending on their circumstances, many of these investors will no longer receive these refunds. Labor has since exempted pensioners and grandfathered those SMSFs with at least one pensioner or allowance recipient. And as Marcus Padley notes, the 45-day holding rule still applies although it becomes redundant for some investors. "For those of you in a tax-free environment that have had to concern themselves with the 45-day rule, if you’re not going to get the franking, you can now forget it," Padley says. "Buy and sell the stocks and strip the dividends at will over any timeframe." One vocal opponent of the changes has been Wilson Asset Management. The fund manager's petition against the proposal has garnered more than 14,000 signatures. WAM argues Labor's policy may push investors into riskier asset classes in a bid to retain the same after-tax income levels. According to a WAM poll of about 3000 of its 80,000 investors, 69.2 per cent of respondents stand to lose between $5001 and $30,000 a year if the policy becomes law. Just under 70 per cent of those surveyed earn $90,000 or less a year. WAM founder and chairman of the fund manager Geoff Wilson disputes Labor’s estimate the policy will recoup $55.7bn over 10 years from its crackdown on refundable tax credits on dividends. Wilson says the extra revenue would be about $40bn. Jonathan Philpot, partner at HLB Mann Judd Wealth Management, rejects early suggestions that the proposal was an attack on the extremely wealthy. Like the SMSF Association's Peter Hogan, Philpot argues the $1.6 million transfer balance cap, introduced in July 2017, was a bigger hit than Labor's latest proposal. Philpot says under Labor's plan those with lower balances will lose a larger proportion of their earnings. For instance, he compares someone with an $800,000 pension to a $4m balance, in both cases assuming a 40 per cent investment in Australian shares, and a dividend yield of 4 per cent with fully franked shares. The $800,000 balance stands to lose $5485 (0.625 of earnings) while the $4m balance loses $9428 (0.225 on earnings). "Before, if you had a $5m pension fund, yes, you were receiving a very large tax refund from it all," Philpot says. "But the fact that now $3.4m of that pension account has to go back to the 15 per cent tax super environment, that's a huge change on the tax refund for these really large pension account balances. "This Labor proposal probably has a far bigger impact on self-managed super fund members who are under that $1.6m cap because they're currently receiving a refund of all their franking credits and that’s what they will lose,” he says. "That extra $5000 or $6000 that they used to get back as a tax refund from the super fund will now no longer be received." Modelling by the SMSF Association shows that those set to feel the changes most are retirees who just miss out on qualifying for the part age pension. Without the refund of unused franking credits, they stand to lose a bigger proportion of their income. means test limit, meaning they are self-funded retirees. Under Labor's proposal, this would cost them more than $144 a week or a fall in annual income of 17.14 per cent. The income they get from being self-funded under the Labor proposed policy of $36,250 is only about $1200 above the full age pension of $35,048, which can be accessed by a home-owning couple with less than $380,500 in assets. The post-tax return on their assets with refundable franking credits is 5.14 per cent. Without refundable franking credit it falls to 4.26 per cent. As it stands, this couple do not qualify for the age pension as they exceed the $830,000 threshold. If they want to maintain their income level and use their SMSF capital they would fall below the $830,000 part pension assets test threshold and start accessing the age pension within a few years, putting pressure on future government-funded pensions. A couple who own their home and have an SMSF with $700,000 of assets receive a part age pension payment and an income stream from their SMSF. They have a 40 per cent asset allocation to Australian shares, which yield 5 per cent in dividends. The overall return on their SMSF assets is 5 per cent. They will continue to receive an annual income of $50,900 generated by their SMSF, refundable franking credits and part age pension if the Labor franking credit policy was implemented. A couple who own their own home and have an SMSF with $900,000 of assets receives an income stream from their SMSF and do not receive a part pension because they exceed the $837,000 asset threshold. They have a 40 per cent asset allocation to Australian shares, which yield 5 per cent in dividends. The overall return on their SMSF assets is 5 per cent. Under the current tax rules, they receive franking credits of $7700 a year and $45,000 in SMSF income, giving them a total retirement income of $52,700. Labor’s policy would strip them of the refundable franking credits worth $7700. According to the SMSF Association, the modelling shows Labor's policy would leave some SMSF members worse off than those with less in savings but receiving a part pension. As to what investors should do if the proposal becomes law, the consensus view seems to be: wait and see before overhauling your investments. "As always, don't react just yet," says Philpot, who predicts Labor will have a fair fight to get it passed. "You’ve really got to wait until it becomes law and then review at that point what you should do." While he concedes that other asset classes may start to look attractive, Philpot cautions that it's too early to abandon Australian shares and substitute them for, say, global equities. "The imputation credit is part of the return on Aussie shares but obviously it's a small part," he says. "You've got growth of the share price; you've got the actual franking level; and particularly for pensioners who need an income stream from their investments to help with the pension payments, Australian shares have traditionally had a much higher dividend yield than international shares. "So, while that income yield – with the loss of the franking credits – will be worse, it will still most likely be better off than international shares." However, one side-effect could be diversification, says Philpot, which any investor will argue is never a bad thing. "I guess it does, in a way, level up the playing field," he says. "The bias that's always existed, particularly in self-managed super funds, to Australian shares might start to reduce with this sort of change. And then property trusts, which obviously don't have any franking credits attached to their distributions, they also start to look a little bit more attractive given their higher income yield." For the SMSF Association's Peter Hogan the policy risks distorting the tax system as it fails to consider the possibility of a person’s circumstances changing from year to year. "In one year, they might have plenty of income and tax liability other than their dividend income and have no problems," he says. "And another year, because of a change in circumstances, they suddenly find themselves in a position where the franked dividends that the share portfolio is generating suddenly exceeds their tax liability and they lose the effect of the franking credits they’ve received during the year." Hogan fears the policy will potentially reduce the available income one can draw upon as a pension. "Some people might say, 'well, if it's only $5000 or $10,000 a year, it's no big deal'. But if that represents a reduction of even 1 per cent in their annual return that can compound over time and have a big impact on how quickly they draw down on their capital and the income they earn on that capital to fund their retirement." Consequently, Hogan foresees retirees seeking alternative sources of income that will generate levels of income equivalent to the franked income lost before any changes. If they do nothing, their savings will dwindle. To that end, pensioners face a choice, he says. "They have to keep on drawing down the same level of income and the money runs out sooner; or reduce the level of income they draw down each year, which means they'll have less income to live off. "Or do I take some of my share portfolio and invest it another asset class, which might give me a similar return when I was getting the benefit of fully franked dividends? There's no right answer of course, it depends on individual circumstances." Hogan is, however, philosophical. He expects investors will accept the law and adjust to maximise their investment returns. 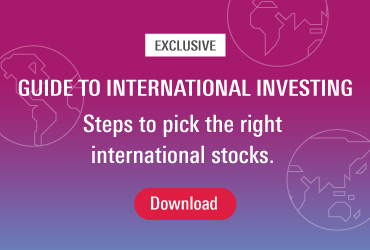 "One would expect the response may be that more money goes offshore into international equities, or perhaps that super funds and individual investors might then choose a different mix of asset classes to ensure that their overall return is maximised and that they make full use of any franking credits they have." And like Philpot, Hogan argues the transfer balance cap rules change brought in last year has had a bigger impact on retirees because they no longer have 100 per cent of their fund in pension phase. WLM Financial director Laura Menschik describes franking credits as "the sacred cow" of the local investment landscape. But rather than protest about them being taken away, she urges investors to prepare, not panic, and consider other asset classes, and the realistic expectations of what they might yield. "If someone were setting up share portfolio today and saying 'I want to pick fully franked dividends' you would have to say to them 'what if they're not fully franked? Would you still invest in Telstra, in Commonwealth Bank, in Woolworths, knowing that the dividends may be reduced?," she says. "You could buy a property and say I'm going to rent it out for $2000 a week but the reality is it might only get a $800 a week. If you're investing in a company only for the franking credits, and those franking credits disappear you might have to make another decision." It's a sentiment echoed by Andrew Martin, portfolio manager at Alphinity Investment Management. "You need to be careful that if you look to replace lost income you don’t inadvertently take on a lot more risk," he says. "For example just buying higher-yielding assets isn't always the right thing to do as the new asset might be less liquid or more risky and you might end up losing more in capital than you picked up in extra yield. As we see in equities all the time, a high-yielding stock often just means that a dividend cut is on its way. So don't just move out of a stock due to changing franking laws unless you can find assets that better suit your risk and yield requirements." It's also worth noting that any change in franking credit treatment has no effect on Morningstar’s fair value estimates. To calculate valuations, Morningstar forecasts a company’s future cash flows, and discounts these back to the present value, says Adam Fleck, Morningstar director of equity research, Australia and New Zealand. "We don't value companies with lofty dividend payout ratios more highly than those that do not," Fleck says. "Similarly, we don't add any value for potential franking credits. Our fair value estimates are aimed at several investor audiences, who may view the value of these credits differently, or have different tax situations. If the Labor proposal were to come to fruition, we don’t anticipate wholesale downgrades of our fair value estimates, even among stocks that have typically paid out fully franked dividends." As for changes in company and investor behaviour, analysts expect it to be muted. "Any change in company behaviour would likely happen over time rather than in a big bang," says Alphinity's Martin. "The majority of investors will still benefit from franking credits so payout ratios overall are unlikely to change materially. "However, companies do have regard to the make-up of their investor bases so their behaviour will depend on how the share register changes over time. If a company has franking credits and a large portion of its investor base is still able to benefit from them it is likely the company will still try to maximise the proportion of those franking credits they can distribute." Morningstar Australia's director of equity and credit research John Likos concedes some investors will remove their "home bias" and consider other overseas-based investments but he anticipates this "global substitution effect" to be minimal. One area where Likos does expect change is the hybrid sector. Likos expects that between 15 to 20 per cent of investors holding additional Tier 1 (AT1) securities would be hit by the proposal to end cash refunds of excess imputation credits. Indeed, in the wake of the announcement Likos's watchlist of AT1 securities had been a "sea of red" as investors sought to exit. For Likos, the change could create broader market changes by causing issuers to increase pricing and adjust the size of issuances. "Unlike hybrids, the impact on equity investments is mitigated by capital upside potential as well as a higher dividend yield to start with," he says. "Nevertheless, while many investors have much to lose from this proposal, most hybrid investors will continue to benefit from fully franked dividends, up to the point where their franked returns offset their tax liabilities." Despite the initial backlash, which forced Shorten to soften the original plan, Likos insists only a small proportion of the total group of investors that receive cash refunds or buy hybrids would be affected. Former Morningstar managing director of research strategy Asia-Pacific, Anthony Serhan, doubts the proposal will materially affect the way companies manage their cash flow to maximise company value, and like Likos, sees opportunity in fixed income. "I think the bigger picture is what this will do to the relative attractiveness of different forms of investment," Serhan says. "Fixed interest becomes relatively more attractive. Hybrids with imputation credits will be repriced to reflect lower cash yields. Arguably, equities will also go through a one-off adjustment in price but then stabilise. My plea to investors is: don't forget to focus on the total return, not just the yield, and that higher yields do come with higher risk so size your positions accordingly." Katana Asset Management portfolio manager Romano Sala Tenna agrees. He predicts the biggest area that will be affected by the change is the hybrids market followed by the banks. "When the policy was first announced the hybrid sector got whacked," he says. "A lot of the hybrids were down 3 or 4 per cent below their issue price of $100. So, I think that's the first, biggest impact. And I think some investors will move away from the banks or perhaps not top up the banks as aggressively as they have been." At latest count, Sportsbet has Labor under Bill Shorten at $1.30 to win the next election against the Coalition ($3.20), who, according to opinion polls face an electoral rout. And yet, the same polls put Morrison as preferred leader to Shorten. But then again, the polls aren't foolproof, and as John Likos notes, the bookies never gave Donald Trump a hope. Nor did they foresee Brexit progressing. Perhaps, as Laura Menschik suggests, Australian voters and investors are better off preparing for change – not panicking about it. Modelling by SMSF Association policy adviser Franco Morelli shows the impact on different balances under Labor’s proposal and under the current situation, which is indicated in brackets. As larger funds are subject to the $1.6 million transfer balance cap, the tax they are required to pay can be offset with franking credits. "The modelling shows the policy hurts individuals who don’t pay tax and have smaller balances far more than those SMSFs with large balances who must pay tax," Morelli says. *This article was originally published in Your Money Weekly. This article previously said "SMSFs with at least one pensioner or cash-rebate recipient" would be exempt from Labor's proposal to remove excess franking credits. It should have said at least one recipient of an Australian Government pension or allowance.